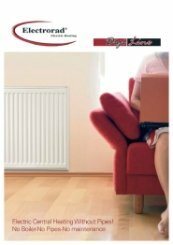 The Digi-Line electric radiators are filled with a thermal fluid to transfer heat to the whole of the surface area without the need for any pump or moving parts. The fluid is heated by 100% efficiency electric elements which are controlled by the most advanced thermostat electronics available. 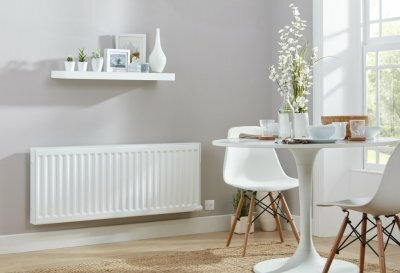 The radiator body is constructed in steel and powder coated to ensure a high quality, extremely long lasting and robust finish. The range is available in 500mm & 300mm heights and power ratings from 500 watts to 2000 watts. The Digi-Line convection fins ensure the perfect balance of radiant and convected heat. There are some more very special, unique and energy saving features built in to the new electronics. All features do not have to be used but can be activated if required. Energy saving open window feature - this senses when a window has been opened and stops the radiator heating until the window is closed. Surface temperature control - The surface temperature can be operated at the full 90 deg C or reduced to a maximum of 75 deg C or a maximum of 60 deg C. (Surface temperature reduction will reduce the heating power). 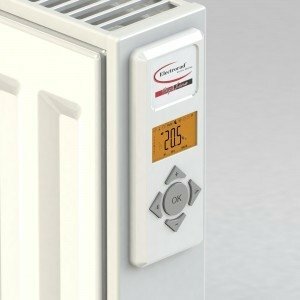 Double panel radiator smart control - If the room temperature is within 1 deg C of the set point, the front panel only will operate. 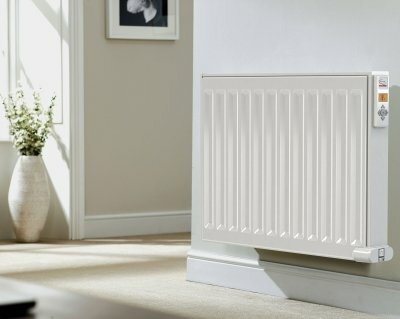 If the room temperature is more than 1 deg C from the set point, the back panel will also operate to act as a boost and re-heat the room faster. 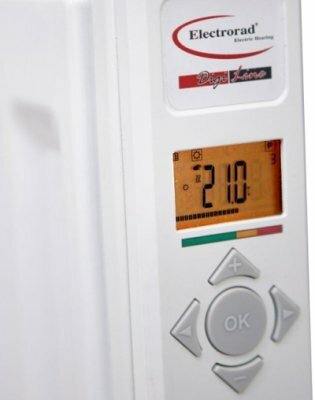 The New Digi-Line thermostat is a double proportional band control (PI & PWM) giving the best accuracy possible of +/- 0.1 deg C. The room temperature is sensed below the radiator where the room air temperature is at its lowest and there is no heat from the radiator to affect the reading. Each radiator thermostat also has a radio frequency receiver built in, so central control is easy to achieve by using the optional 4 zone radio frequency central programmer. 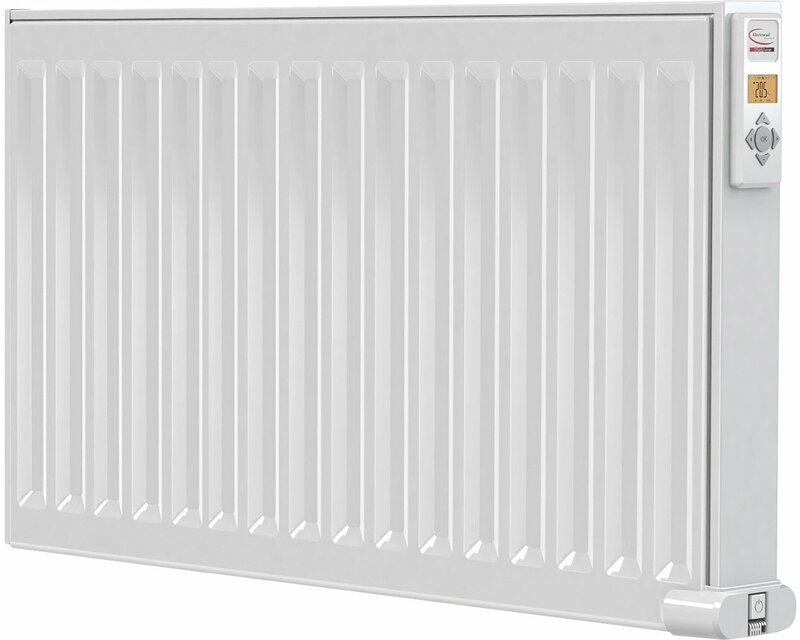 The optional central programmer is battery powered and uses radio frequency signals to communicate with these electric radiators, so no wiring is required. It can be wall mounted or free-standing. 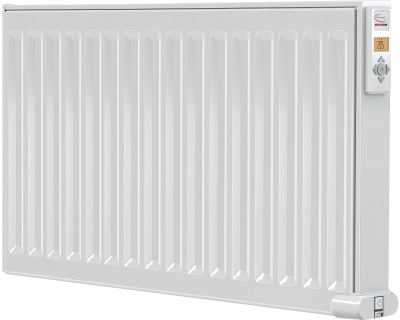 All electric radiators can have different temperature settings, and every zone can have different operating times. The central programmer is capable of separately programming up to 4 separate zones. 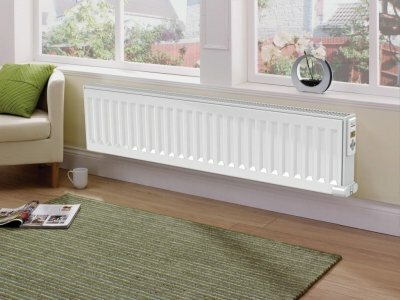 This provides for the ultimate electric heating system with absolute control over temperatures, times and energy usage. Firstly Liam listened to our problem, and then was clear when advising a solution. Secondly he spent time with us and didn't rush us and answered many questions patiently. Thank you Liam. Very pleased with this product. It is doing its job effectively and silently, suited to the size of the room according to specifications. Best value on the market, speedy delivery with regular updates.